Samuel Lee | Western Financial, Inc.
As Co-Owner & Founder of Western Financial, Inc., Sam Lee brings a positive outlook, understanding of hard work and a strong sense of integrity throughout his practice. While Sam has extensive knowledge in wealth management, his interest lies in listening to and understanding his clients’ needs using long term goals to navigate through short term distractions. After serving his country in the United States Marine Corps, Sam began a career in agriculture. 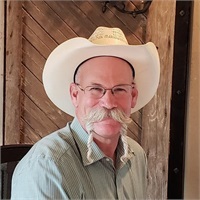 While running his Farrier business and building his cattle/sheep operation, he became interested in the financial services industry and obtained his securities registration to become a financial advisor in 2007. Family is a major part of Sam’s life; he and his wife Karen have been together since 2000 and have a combined family of 3 kids and 2 grandsons. Their family ties go back generations in Douglas County in the Livestock, Banking and Timber industries; Sam has a deep understanding of his clients needs.